Mahjong Ikagadesuka - 2 Haku 3 Nichi no Ianryoku © 1991 Mitchell. 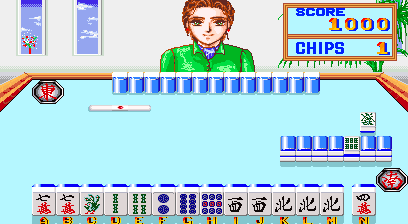 A mahjong game that takes place at a bus stop of all places. The title of this game translates from Japanese as 'Mahjong How Are You - A Pleasure Trip of 2 Days and 3 Nights'.